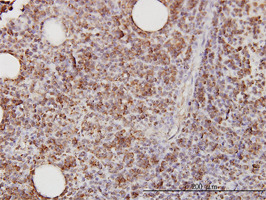 Mouse anti Human CD58 antibody, clone 2D11-B10 recognizes human CD58, also known as Lymphocyte function-associated antigen 3 or LFA-3. CD58 is a 250 amino acid ~29 kDa single pass type-1 membrane glycoprotein and ligand for CD2. 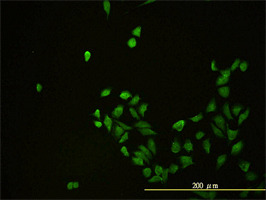 Multiple isoforms of CD58 can be produced by alternative splicing, Mouse anti Human CD58 antibody, clone 2D11-B10 recognizes an epitope common to all forms of CD58. 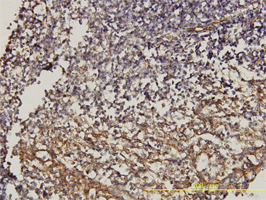 Recombinant protein corresponding to aa 1 - 241 of human CD58.